Baby Huey and Bimbo Jimbo are back to give their rapid reaction to NXT TakeOver New York, and what they learned from HHH’s post TakeOver press conference! 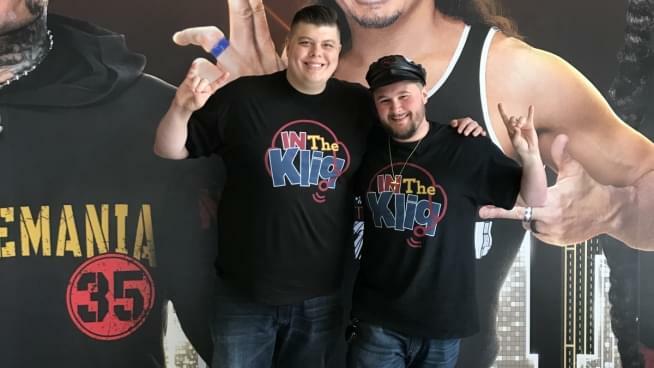 Bimbo Jimbo and Baby Huey are still live in New York to recap all the action from WrestleMania 35 including #KofiMania, the historic main event, and even getting stranded in a post event rain storm! Kliq, Download, and Mark Out! Here are photos from WrestleMania Axxess. Here are videos from WrestleMania Axxess. Here are photos from WWE’s Hall of Fame ceremony. Here are photos from WrestleMania 35. Here are videos from WrestleMania 35.